Earlier today, the Chief Minister had said that a decision on filing a defamation suit against Ms Bedi will be taken after consulting legal experts for her "baseless and derogatory statements" against him, his ministerial colleagues and officials. 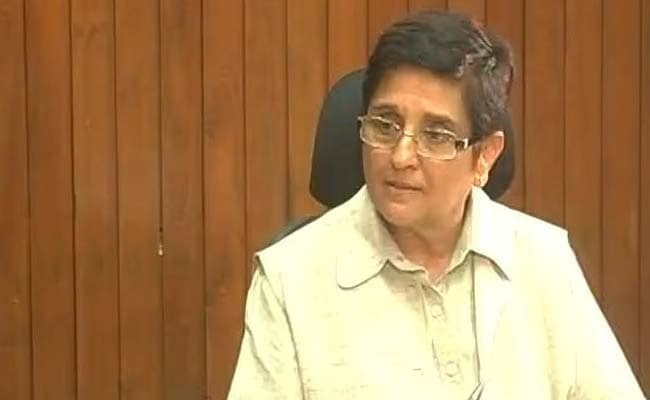 Puducherry: Puducherry Lieutenant Governor Kiran Bedi today alleged that Chief Minister V Narayanasamy was "threatening" her for her views on alleged medical admission scam, hours after the Chief Minister accused her of making derogatory statements against him and said he would sue her for defamation. Ms Bedi, who has been at loggerheads with the Congress government on several issues, had said in a WhatsApp message to reporters, "Prior to festivities we clean our homes... The CBI has done this for Puducherry this year..." She said the CBI had registered an FIR and named six officers of the Puducherry government as prime accused in "criminality committed by them (in admission of students to medical colleges here)." "It is quite strange that a constitutional position of a Lt Governor is being threatened (by CM)," she said. The former IPS officer said that "instead of seeking an explanation from Chief Secretary as to why this (irregularity in admission) had happened, the Chief Minister is threatening the Lieutenant Governor and the media for doing its duty". "Six officers of the government, two IAS officers, senior officials and a director and three others (now under the CBI scanner) are bound to be a cause of embarrassment to the Chief Minister," she said. The registration of a case by the CBI and raids by the agency prior to the lodging of the FIR recently indicate that there is a prima facie case (against the officers), she said. "Why not accept this as a reality of the current situation and request the media to remain objective in their reporting for truth to prevail." She said the people of Puducherry are interested in justice and not intimidation.